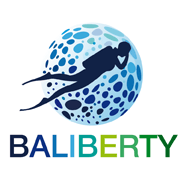 Where can we see Manta Rays in Bali? Dive with manta rays is a magic show, a unique experience, a moment of communion with nature. To live this unforgettable experience in Bali, you have to dive around Nusa Penida. Manta rays can be seen throughout the year on 2 main sites: Manta Point and Manta Bay (also called Manta Point II). After 45 minutes by speed boat from Sanur, the show is amazing : a wild side with limestone cliffs, coves, caves and arches that powerful waves of the Indian Ocean are sculpting all day long. At the foot of these cliffs in two bays, the manta rays come to be clean leather and deworming by wrasses and other wrasses. These “cleaning stations” offer a unique opportunity to witness the stunning ballet rays, often visible from the surface in snorkeling. Let’s go for a rolling back entry into the water! No need to go down very deep, or go far. Between the surface and up to 15 meters deep, manta rays move here in groups, dancing around underwater pinnacles. Just wait and see : be patient and you’ll enjoy their incredible majesty, going with the rythm of the surf. Then the magic happens: such as albatross, the graceful black shape appears, fluid and regular as a flying bird in the air. The monster’s elegance hypnotizes us : raw beauty, untouched, powerful and striking. The ballet can be for more than one hour, when water temperature doesn’t drop too much (20°C degrees sometimes)! A good buoyancy control is highly recommanded to avoid damaging the marine carpet. Around Nusa Penida, Manta rays can get 3 to 4 meters lengh and weigh around 800 kg to 1 tonne. Like all manta rays, they are peaceful and totally harmless. Black on the back (sometimes with white spots), they have a white belly (sometimes with black spots). They have two large “wings” and a thin pointed tail that contains no poisonous sting. Both sides of the head, they have two cephalic horns evoking a horned animal hence the name “sea devil”. These two horns direct food to its wide mouth where the water is then filtered through the gills. Manta rays eat only plankton and tiny fish. Sometimes they perform jumps into the surface to get rid of their parasites. Females also use this technique to expel their juveniles that can weigh 10 kg with a wingspan of 2 meters. Faithful companion, the remora fish clinging to the line to travel without tiring and enjoy an easy diet. They have a protective mucus on their leather. When it’s removed, the thin protective layer and the line becomes more susceptible to skin diseases. Manta rays are peaceful and will easily swim towards divers. IF you dream of manta rays, it means that you navigate through your emotions with ease. You are in total emotional freedom. Fine symbolic , isn’t it? In the meantime, just live your dream by diving here with us to do one of your best dives! Nowadays, manta rays is an endangered species and endangered according to the IUCN (International Union for Conservation of Nature). For ten years, Chinese market is fueled by a new energizer miracle gill stripe. The treatment is fashionable even though its effectiveness remains unproven. Thousands of manta rays are killed each year to respond this new customer’s demand.